In a serving glass, stir together elderflower syrup, lemon juice and salt. Fill glass with ice. Fill glass with sparkling water and non-alcoholic sparkling wine. 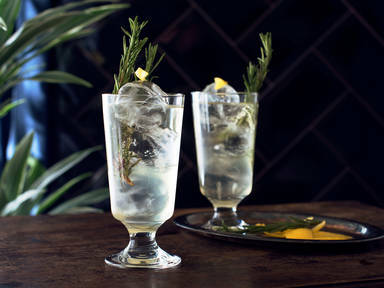 Garnish with fresh rosemary and lemon peel. Cheers!